Your special events table setting plays an important part in creating the atmosphere of a gathering. 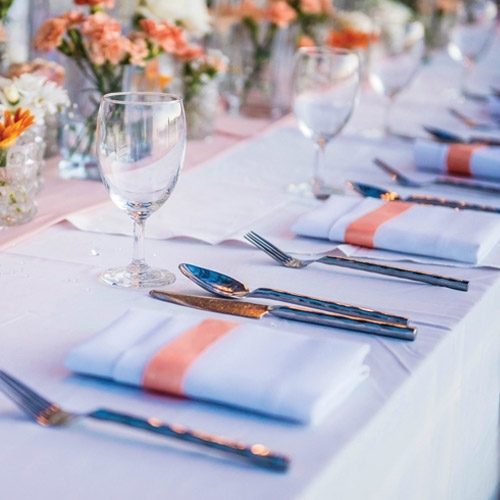 It adds color and personality to the tabletop, reflects how formal the event is, and can help keep conversation flowing throughout the evening. Putting some extra thought and effort into your table setting ensures that your guests are comfortable at the table and encourages an intimate dining experience.